Brand new to Ardnet for 2012, we are pleased to announce our online cloud backup service. So many important things are stored on your computer, but do you ever consider what would happen if your hard drive crashed, you could lose all your important data forever. 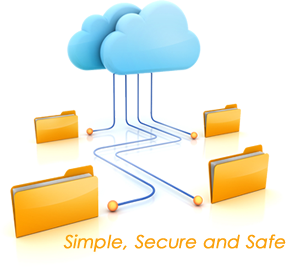 Online backup is fast becoming a popular method for people wishing to protect their data. Imagine writing a large report only to find that following a computer crash the file is lost, or what about losing all the precious photographs of your family, now is the time to make sure that all your important files are secure and safe, cloud backup makes that easy. Using the latest secure online data backup technology we can back up all your valuable data to a 100% secure encrypted UK based data centre. 25GB is a plenty of space to backup your email folders, personal photos, all of your documents and some music. Click here to buy backup product online 0r contact us to arrange bank or cheque payment.